Dragons are mostly connected to ancient times and pre-historical events. Knights, dinosaurs and vikings is more connected to dragons than cars, cellphones and television. But even if dragons them selves are not among us every day, their ancestors are. 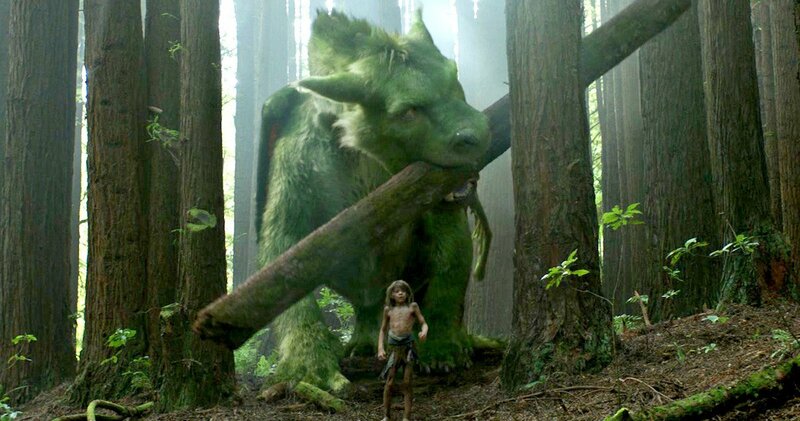 There are many animals that remind us about the dragon era, a long time ago. 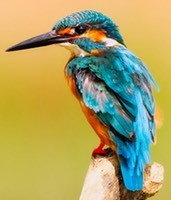 Birds are seen every day, and is not seen that dragon-like. However, they are one of the animals that are as close to a dinosaur as we can come. From that, the step to dragons are not so big. Many dragons had, and have, feathers on their body just like some dinosaurs and just like the birds among us. So every time you see a bird, you might think of it as a small, fluffy relative to dragons. Lizards is also a small dragon, I mean who haven’t seen one and waited for it to spit fire when their were small? They really look like a small dragon, at least some of them. Dragons are a kind of reptile and is often said to act a bit like a lizard. 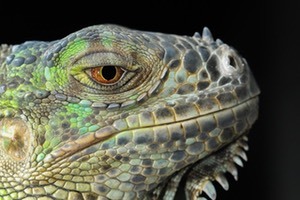 Look at the Chinese dragon and then at a lizard – the similarities are many. Snakes – of course I must mention snakes in a post about dragon relatives. It’s impossible to avoid this parable, since the two are very much alike. Many snakes are venomous, just like many of the dragons might have been, until some evolved the fire mechanism. 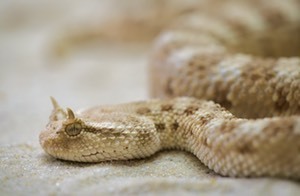 They are also very flexible – the snakes use their flexibility to move and the dragons use ot to fly, hunt and survive. They both have a long tongue with split points and scale, so it’s understandable that some dragons might evolved to snakes. They might started to look for food on the ground and soon the eventual wings disappeared. The legs may have disappeared as soon as they did not need them, since all food was reachable from ground level. I’m definitely not sure about this, but I like to think of it like this. It takes me a bit closer to the dragons and I can be enchanted just by looking at a bird or if I see a snake. Fantasies are what makes the world interesting – that’s why it’s so important. I’ve been browsing the web a bit tonight, just to relax a little. I came over some jewellery sites, that I really liked. 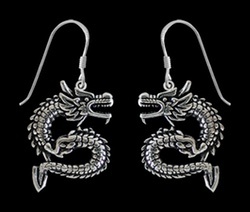 I especially liked the jewellery with dragons on them, of course. 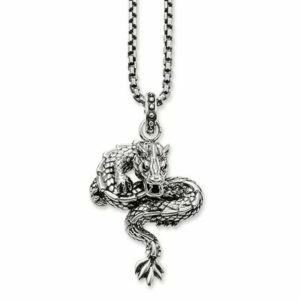 Have you seen all the cool designs from Thomas Sabo? I just love that brand and I have a silverbracelet with a few charms on it. Off course – one of them is a dragon. Yesterday I found this necklace and fell in love. Isn’t it just georgeous? I thought about ordering it but I guess I´ll have to save some money first. I really think it´s a beautiful piece of art. It´s made of sterling silver and has the perfect size for me. It looks similar to the smaller one I keep on my bracelet. I just loved the name at the store: Babysnake 🙂 Cool and cute at the same time and they had so many cool jewelries. This earrings were made of sterling silver as well. I like oxidized silver, I think it gives the jewelry character. If it´s to shiny it´s to cute for my taste. And you don´t have to polish them as often when they are oxidized 😀 You could get a matching pendant as well. There are so many beautiful dragon designs out there. I just can’t get enough och this mystic creatures. So dark and powerful. My friends laugh at me and call me obsessed.. well, I like being obsessed. What makes your heart beat a bit extra?